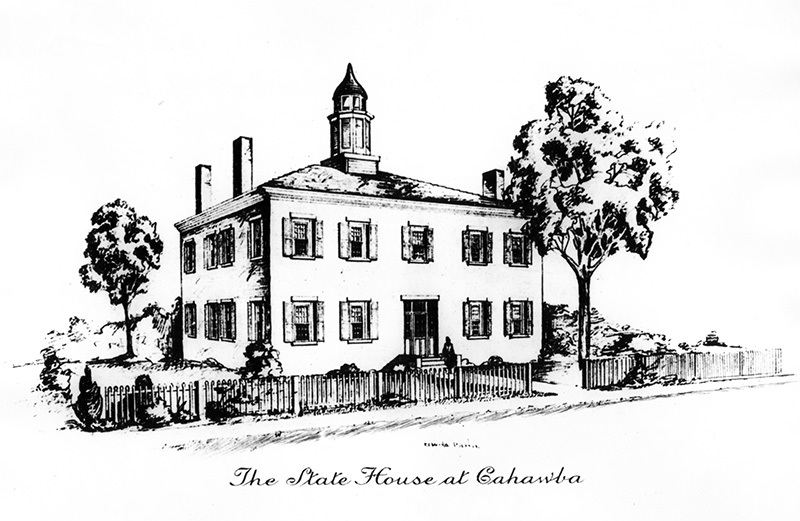 An artist's rendering of the first Alabama state capitol building in Cahaba, Dallas County. Cahaba was established as the first permanent capital of the state in 1820. It remained so until 1826, when the capital was moved to Tuscaloosa.